The list of John Travolta movies extends back to the 1970s and demonstrates his growth as an actor within a variety of roles. Travolta played Billy Nolan in Carrie, the story of a tortured adolescent girl with telekinetic powers. In this movie based on a Stephen King novel, Carrie is pushed too far on prom night and the result is deadly retaliation. The Boy in the Plastic Bubble was a TV movie in which John Travolta played Tod Lubitch, a boy born with an autoimmune deficiency that leads him to live a life inside a bubble that is completely sterile, a place where he has no true human contact. John Travolta really showed off his dance moves in this movie when he played Tony Manero, a guy who feels like the only thing he has going for him is his ability to dominate the dance floor at a local disco. 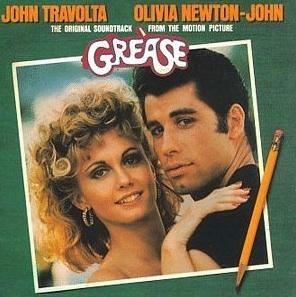 This is, along with Grease, is one of John Travolta's most famous performances. In the long list of John Travolta movies, perhaps the one role that stands out the most for people of all ages is that of Danny Zuko, high school bad boy who falls in love with sweet-as-sugar Sandy Olsen. Grease is a musical, so there's plenty of singing and dancing to enjoy along with the bad boy meets good girl plot. This movie experimented with role reversal in a relationship, where the older woman is in pursuit of the younger man. John Travolta plays Strip, a young drifter. The older woman is played by Lily Tomlin. This movie is set in Houston, and John Travolta plays a young man named Bud from the country. Once he moves to the city, he meets a cowgirl, marries her, then tries to patch his marriage up in part by winning a mechanical bull riding contest. John Travolta plays Jack in this thriller. He's in danger when he comes across unexpected evidence that an "accident" was actually a murder. In an attempt to get to the bottom of the crime and bring a conspiracy to light, he puts himself in harm's way. This is the sequel to Saturday Night Fever so John Travolta returns again as Tony Manero. His newest challenge? Becoming a Broadway dancer. John Travolta plays James Ubriacco a potential suitor for a single mom, Mollie, of a three-month-old. This romantic comedy is told from the baby's point of view, and the baby has his own opinions about the men his mom is dating. This is, of course, the sequel to Look Who's Talking, and John Travolta plays James Ubriacco, the guy who got the girl in the last movie. The baby, Mikey, narrates his parents' relationship and engages in a little sibling rivalry with his new sister. In this movie, John Travolta is still James, but the pets-a crossbreed and a poodle--do the talking. James has a new job and Mollie is looking for a new one after losing the one she had. Mollie and James' relationship is unsteady in this movie. In Pulp Fiction, Travolta plays Vincent Vega, a hitman working for mob boss Marsellus Wallace. Though he's written as a "bad guy" with a heroin problem, he isn't a one-dimensional character and flashes glimpses of humanity that suggest he is more than just what he seems. The list of John Travolta movies is long and full of well-known films. Though he experienced a lull in the 1980s as far as movies were concerned after his successes of the 1970s, he still worked in television shows and made a comeback at the very end of the 1980s. His career has been made up of several successful movie roles since then.